Mr. Pedro Cabrera is the publications adviser for Judson High School. He not only advises The Fuel student newspaper but as well as the school yearbook, The Rocket. Born and raised on the west side of San Antonio, Cabrera is the child of two Dominican immigrants. He graduated from Oliver Wendell Holmes in 2006 and attended Texas State University. 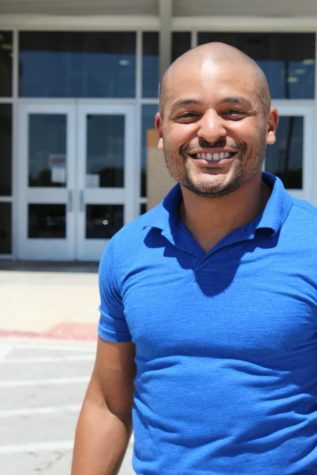 He graduated with a BA in Communication Studies in 2011 and went to teach for two years in the Aldine Independent School District in Houston, Texas. After being offered a position at Judson High School, he took the chance to move back to San Antonio. After a year of teaching speech at Judson, he was offered the journalism position for the 2014-2015 school year. He has since revitalized the journalism program, launching The Fuel student newspaper. He graduated with his Masters of Arts in Communication Studies from Sam Houston State University in December of 2015. He is an avid biker and lover of all things Whataburger. Although he has been teaching for five years, he is constantly mistaken as a student on campus. If you wish to contact Mr. Cabrera, you can email him at [email protected], or call Judson High School at 210-945-1100.